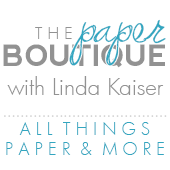 The Paper Boutique: Samantha Walker March Team Blog Hop! 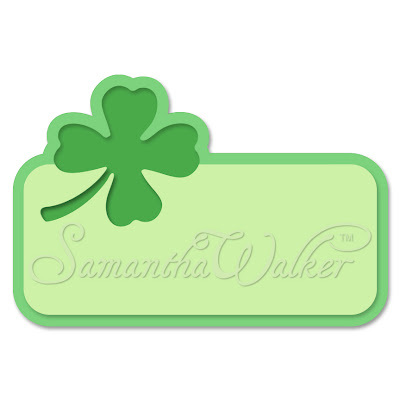 Samantha Walker March Team Blog Hop! Welcome to the Samantha Walker blog hop! You should have arrived here from Guiseppa’s blog, My Creations. If this is your first stop, be sure to head over to Samantha Walker's blog to start at the beginning! If this is your first time visiting Paper Boutique, welcome and please take a few minutes and look around. If you like what you see, please sign up as a follower or subscriber over on the left and I would love you to join my Pinterest page. 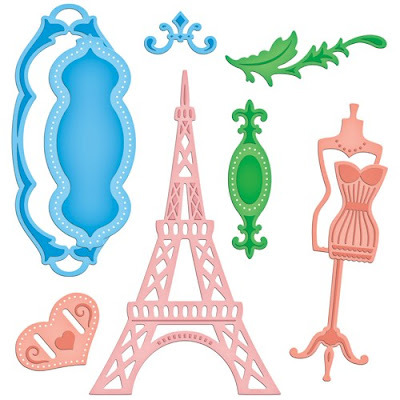 This month, one winner will receive the French Frills Spellbinder set. To enter, leave a comment on Samantha's blog. The giveaway ends on Sunday March 17th at 11:59 MDT. The winner will be announced on Samantha's Facebook page on Monday, March 18th. For additional entries: Comment on each of the other blogs in the blog hop, as well as follow Samantha Walker's blog, follow her on Facebook and sign up for an e-mail subscription to Samantha's blog. To receive the additional entries, mention in your comment on Samantha's blog that you have done so! To receive this adorable free SVG cutting file, sign up for an e-mail subscription to Samantha’s blog and you will automatically receive a link to this file. If you are already a subscriber, just enter in your information in the secure form on Samantha's blog! And Now for my contribution to the blog hop….. I love these Easter baskets from Silhouette on-line store. The cuts were so intricate and they turned out perfect. In fact, I was so happy that Samantha’s files cut so perfectly that I had to make them in solid colors to show off the cuts. The blue basket is made using her basket of Easter eggs file and can be found on-line at the Silhouette store. And the yellow basket is made using her basket of Easter chicks file. Click on the logo to go to your next stop! Thanks for visiting and be sure to click here to head over to Chrissy’s s blog, Scraparoni Digi Pages. Wow, Wow, Wow! I just adore your egg carousel. So cool. Oh wow...these turned out amazing! Love your projects! Nice dainty basket. Great table adornment for Easter. What a cute display! Thanks for the ideas! Love the baskets I will have to try them. Your baskets are so pretty -- love the colors you picked. TFS. Love the cute baskets. What a neat thing to give my daughter for her Easter treats. Oh! Don't make me buy a silhouette! 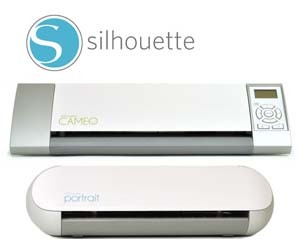 Seems like most Cricut owners are making the switch. It's a great way to get individually designed cuts from different places. i am trying not to get the bug to switch. Not to say, that I wouldn't take one if it was free. LOL! Love your baskets. I am going to buy a Cameo next month. Wow!! What cute projects. Just awesome! Thanks!!! Beautiful Easter display. The baskets are darling and what perfect cuts. The baskets are beautiful cuts. Your eggs are so pretty in them and great contrast to the plain color baskets. Perfect job! The carousel is amazing. I love Samanthas's baskets--I own the chick one. All of your projects are so creative. Great baskets. They wouldn't last 2 minutes with my 18 month old in the house, maybe in a few years? WOWZA! This is a super fun project! Love Both of the baskets! Great for Easter! Oh my, that carousel is over the top fabulous!! Love your projects. They are so cute. Great job! minele s-au inchis, minerii au plecat. so cool.